Besides growing fresh, healthy, produce, we believe that our farm is the perfect space for gathering. After hosting our own wedding last fall, we have decided to open our farm up to couples looking for a casual and beautiful space to celebrate. The farm would also be great for corporate events, fundraisers, and any other event that needs a unique outdoor space in the heart of the city. We also host open farm hours for “Wine and Weeding” and tours to interested groups. Stay tuned for more collaborations this season! Now reserving weddings for 2019! Come visit the farm and help us keep up on weeding! Check our social media for updates. Oh, and there’s free wine! 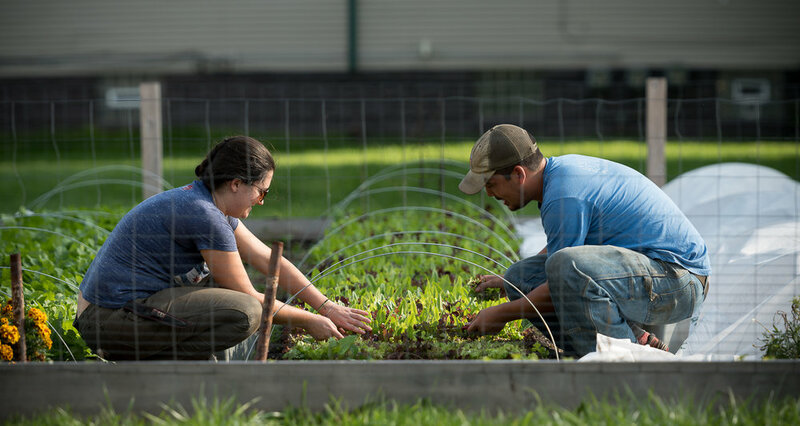 Interested in urban agriculture? Join us for a tour led by our farmers. We ask for a $10 fee per person for our time, price negotiable for large groups!